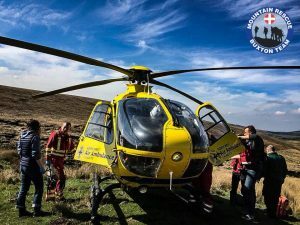 The team was requested by the North West Ambulance Service to assist them with the evacuation of a mountain biker who had fallen off his bike. As a result of the fall and the mountain bikers condition, a quick evacuation by air was deemed necessary. The North West Air Ambulance was requested and was able to land close to the incident site, on the only flat bit of land for some considerable distance. This made for a short transfer to the air ambulance, and an onward flight to hospital. 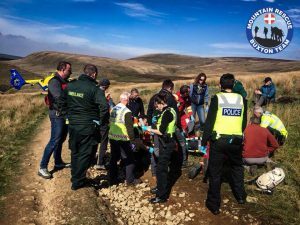 Thank you to Cheshire Police for their help on this call out and for providing plenty of blue lights and a high visibility safe area for everyone involved whilst on a blind bend on the busy A54. 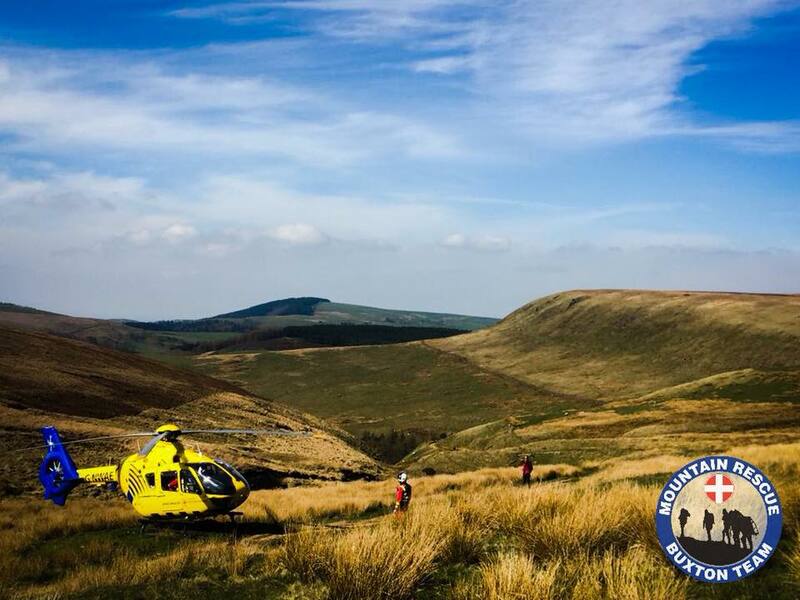 The call out occurred whilst many team members were providing cover for the Derbyshire Scouts 4 Inns walk along with colleagues from Derby Mountain Rescue Team.